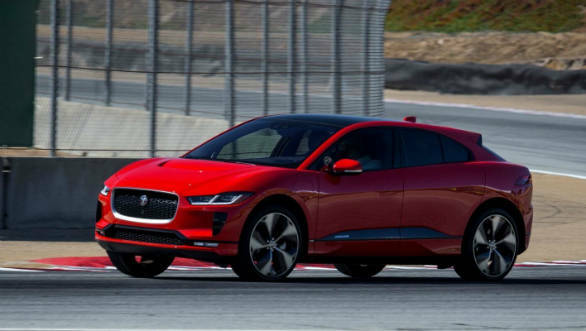 The Jaguar I-Pace EV SUV has broken the lap record for the electric vehicles at the famed Laguna Seca Raceway in California, USA. The SUV, driven by driver Randy Pobst, went around the circuit in 1m 48.18s. The company reiterated that the I-Pace used in the run was completely stock. There was some dispute over this claim earlier, a Tesla Model S P100D had gone around the track earlier in 1m 47.62s. But it has since come to light that the Tesla was running uprated brake pads and braking fluid for the run. 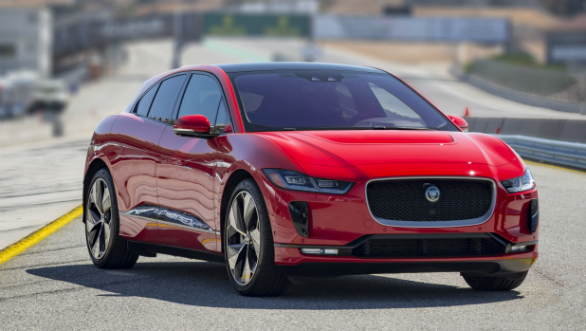 The Jaguar I-Pace comes powered by two electric motors to drive all four wheels, with 400 PS / 696Nm. The motors are draw power from a 90 kWh lithium-ion battery. The Jaguar I-Pace accelerates from 0 to 100kmph in a claimed 4.8 seconds, while still maintaining a range of 480km on a single charge. With a 100kWh DC fast charger, the Jaguar I-Pace battery can reach 80 per cent of its charge in 40 minutes. Jaguar has even programmed the navigation system to offer routes that ensure the maximum range. Jaguar has priced the I-Pace at 63,495 GBP (approximately Rs 56.98 lakh) excluding taxes and duties. The Jaguar I-Pace has a good ride and handling set up in the tradition of the brand's mainstream models. To highlight this, a new one-make racing series featuring the I-Pace, the I-Pace eTrophy, will run as a support race to the 2019 Formula E season.